Various famous names such as Paragon, Royal Albert, Colclough etc. Vintage in excellent undamaged condition. 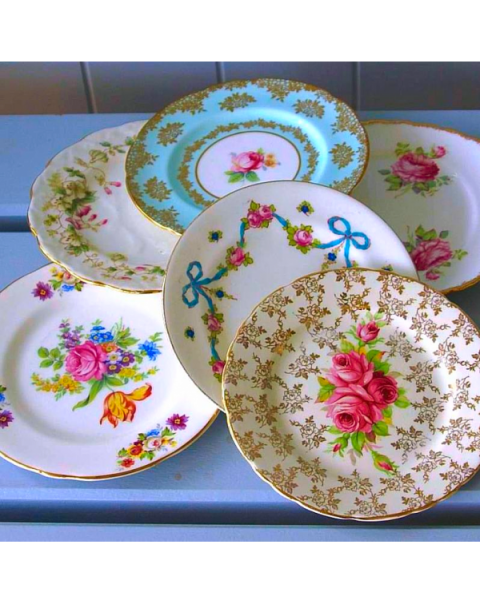 Plates will vary from the picture but will all be English bone china in excellent undamaged condition.